Our Christmas Pageants have it all wrong. The Three Kings weren’t kings, and probably were not limited to three. So who were the Magi? Where did they come from? What was the star? None of these questions have been answered with certainty, although we do have some clues. The traditional “three” comes from the three gifts named in the passage, but quite likely there were more, possibly many more. The danger involved in trekking from Babylon or Persia to Israel made travel in large, armed groups essential. Even if they tagged along with a caravan, they probably had servants and bodyguards. Their arrival at Herod’s court in Jerusalem caused quite a commotion. Why did they come to seek the newborn King of the Jews at this time? Merely sighting a star, no matter how exceptional, does not seem to produce sufficient reason to think the Jewish Prince had arrived. And why would they care, anyway? Various theories attempt to explain the star – a nova, supernova, comet, or conjunction of planet with astrological significance. We don’t really know, but because this exceptional light moved, the first three don’t fit. Some argue that the movement of Jupiter (star of the supreme god) and Saturn (the star of the king) in a rare triple conjunction in the constellation Pisces (the god of wisdom, life and creation), joined with Mars (the star of the West) in the last conjunction in 7 B.C. was the sign they followed. Others believe the star was a miraculous light from God. Was it only the astrological significance of these conjunctions that caused the Magi to travel, or was something else involved? To find a clue, look to the Old Testament book of Daniel. After being taken into captivity, Daniel had been appointed as the head of all the wise men or Magi in Babylon (Daniel 2:48; 4:9; 5:11). That empire was later conquered by the Persians who made Daniel a high official in their kingdom as well. 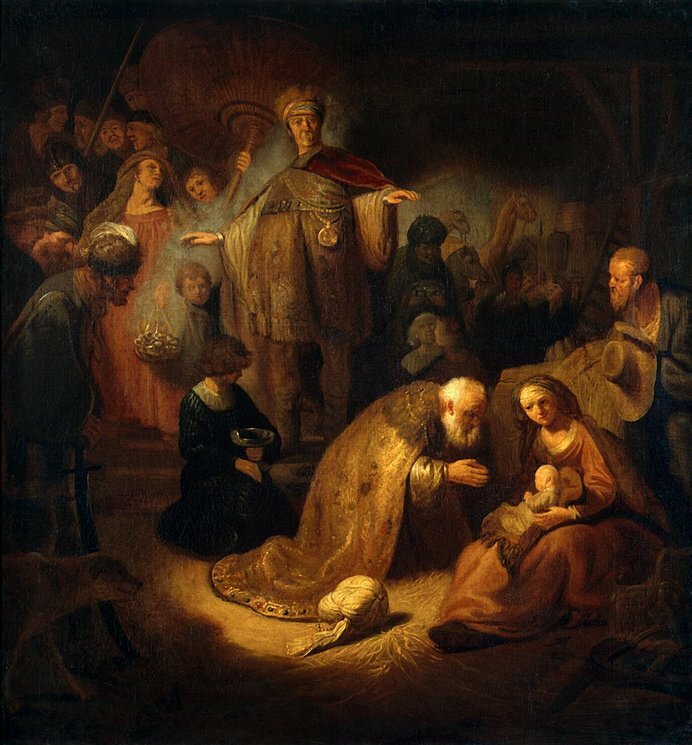 Although pagans, the Magi were probably aware of the God of the Jews, and may have read the many prophecies about the Promised One in the Hebrew scriptures. One of Daniel’s prophecies concerned the exact time of the arrival of the Messiah, or Christ, based on the 70 weeks of years in Daniel 9:24-27. If the Magi in fact had read the prophecies of Daniel, the appearance of either the planetary conjunction or a miraculous ‘star’ would give them the confirmation they needed to make the long journey to Bethlehem. An even earlier prophecy by a magus named Balaam, from a city in the Babylonian empire, connected a star to a future Israelite King (Numbers 24:17). So magi whose ancestors had likely been trained by Daniel were convinced to make the long journey to worship the Promised Messiah, because the prophecies had been proven true! In the last blog, we saw how the angels appeared to the ‘blue collar’ shepherds. Now they appear to ‘white collar’ scholars and star-gazers. How would they appear to us today? As ivory tower academics? A government research group? NASA scientists?